A nerdcation, if not obvious, is a trip that some people might consider pedestrian, strange, boring. I took such a trip this winter, and I found the trip quite the opposite. Perhaps, it’s because the recipe that is me includes one-part nerd. Anyone who knows me, understands I’m a Poe – addict. January 19th 1809 is Poe’s date of birth, making this past Monday the 206th anniversary of his birth; hence, his birthday. 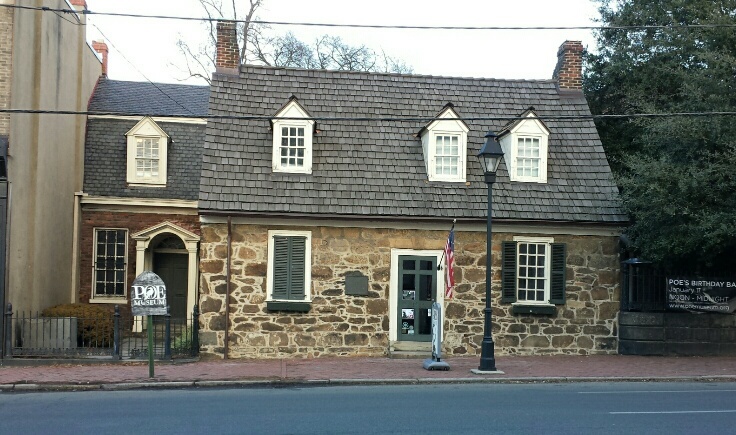 The Poe Museum in Richmond, Virgina, planned a celebration. 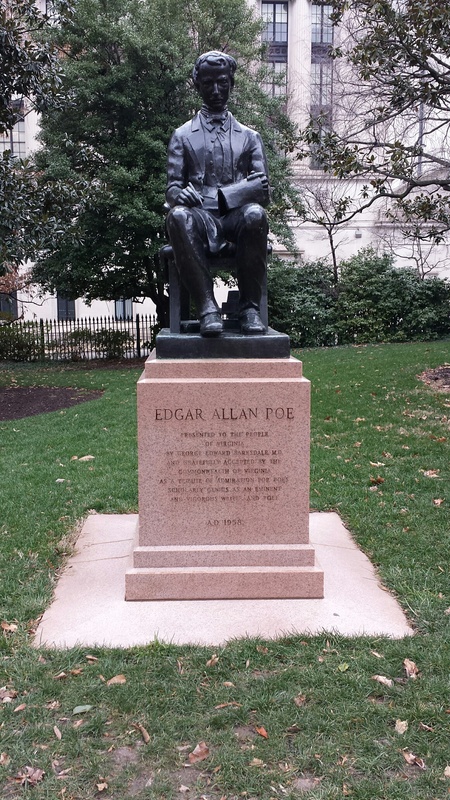 I decided, almost last minute, to fly cross country to the chilled Eastern U.S. to do my very own Poe Tour. His mothers are buried there (there were two), his first true love’s house (he was 14, she was his friend’s mother) is a landmark, his first and last fiance (Elmira), the places he grew up, schooled, played, worked, proposed. 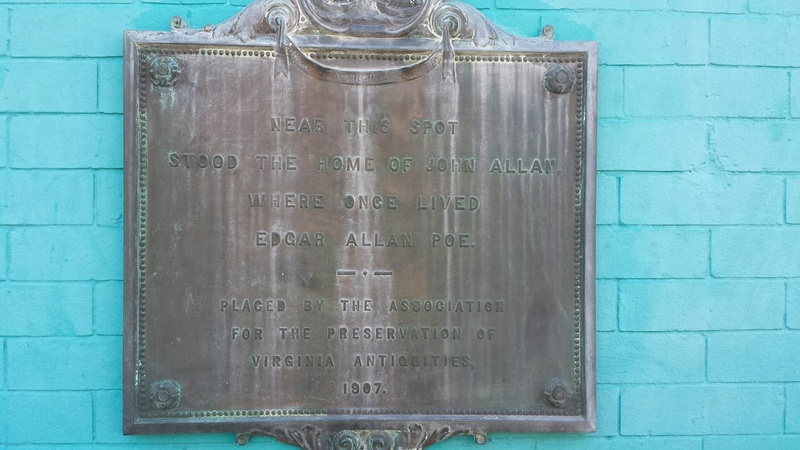 I marked all of the locations and addresses, a walk in a dead writer’s footsteps that would culminate with the day long event at the Edgar Allan Poe Museum, which promised to include readings, discussions, and cake. My first stop was E.A. Poe’s birth mother. Her body lies somewhere on the grounds of St. John’s Church. 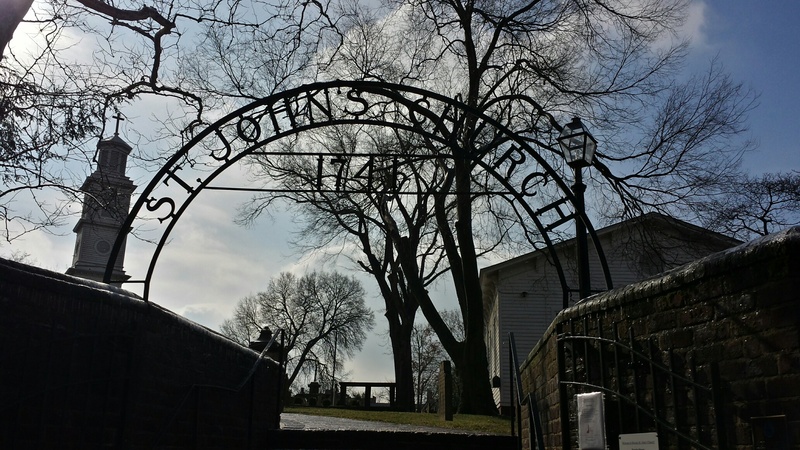 St. John’s is famous for Patrick Henry’s “Give me Liberty, or Give me Death!” speech. I’m told Henry is buried there, as well as numerous other revolutionaries. Poe’s Father, David Jr, purportedly said, the day that ruined my life was the day my son was born. He never wanted to be a father. After Edgar’s sister, Rosalie, was born, David Poe disappeared. His parents, Elizabeth Arnold and David, were actors. By the time Edgar was two, his mother perished. Because her profession was considered a mere step above prostitution and no respectable person would agree to be buried near an actress, she was laid in the ground without a headstone or location notation. 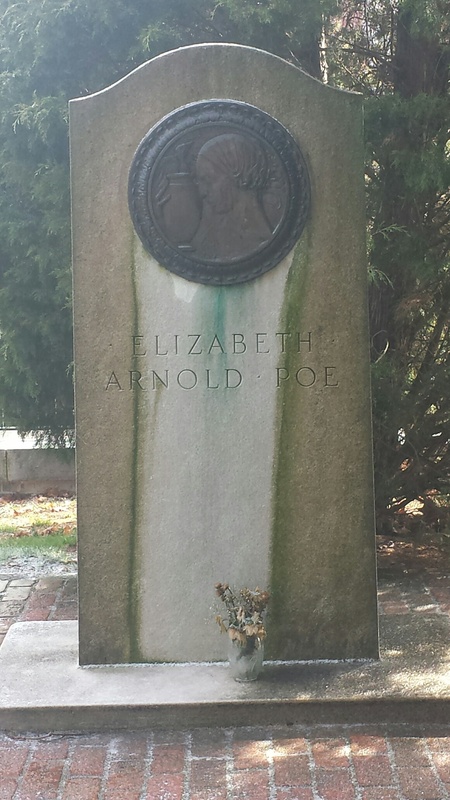 It seems three different organizations pulled together, built and placed a marker to honor Poe’s mother. The day I arrived, the sun shined, melting the ice from the streets. The lovely magnolia tree nearby the grave dropped melting ice, giving me my own personal rainstorm. I meandered around the cemetery. Remembering, honoring the dead. 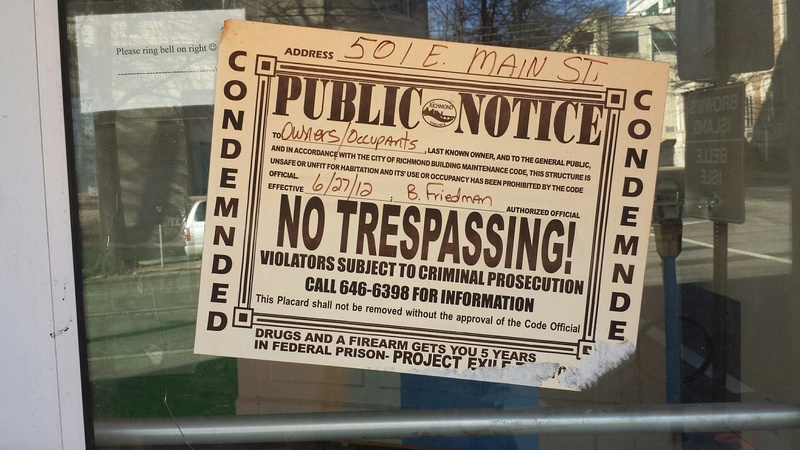 Across the street from the Church is Elmira Royster’s home – or what was once her home. She was Poe’s first fiance, her father disapproved of Poe, so they met secretly at the gardens (which is now the Lindon Row Inn – where I fortuitously reserved a room. My room overlooked the back garden patio where Poe is supposed to have taken Elmira’s hand and asked her to marry him, to wait for him until he returned from college). Poe’s letters never reached Elmira (thanks to her father); she thought she’d been abandoned and entered the marriage arranged/approved by her father. Many years later, after she’d been widowed, her maid involved herself in an argument at the front door, refusing entry to the tall, dark, caped stranger at the front door who insisted he be allowed to see Ms. Elmira on this Sunday morning. The lady of the house admitted him, listened to his argument. Anyone who’s seen someone they once loved knows what she was feeling, understands those “no, I shouldn’t, yes, I want to,” back and forth feelings she may have been experiencing as she told him, “I have church this morning, you may return another time.” No doubt she watched him go through the window slats and hoped he’d return. His cape blew back in the wind as he walked determinedly away, formulating a plan, even then, to win back his first love. Poe did reappear, and too soon asked for her hand in marriage. She was one of the last people to see him before he left Richmond…. She was, officially, Poe’s first and last fiance. Poe’s first true soul love (his words) was his friend’s mother; she supported his writing whereas his adoptive father did not. Mrs. Jane Stith Craig Stanard’s house is not far from either the church or Elmira’s house. Coming home with his friend on an average school day, he met the lovely Mrs. Stanard. Maybe they said just a few words, but Poe was smitten and returned again and again. They talked of poetry. It was a gentile relationship, an appropriate one, even if possibly it made his friend uncomfortable. (She died when Poe was 15). It’s known as the Craig House, is privately owned and boasts the original structure, although it has been restored. 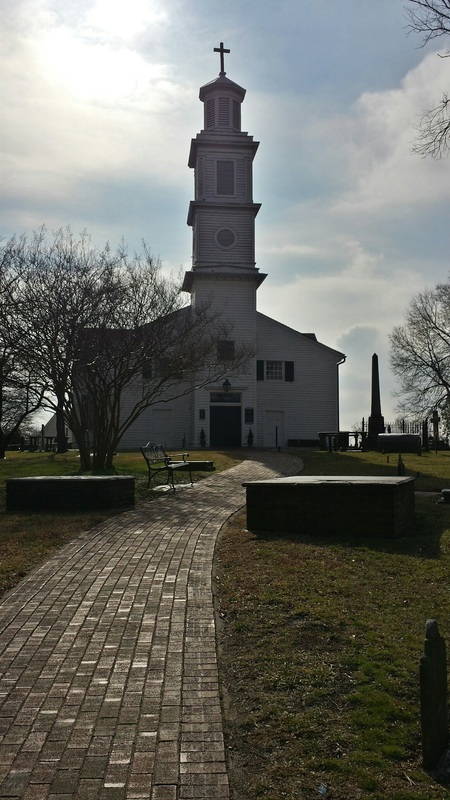 The house stands as the second oldest structure in Virginia. Poe was never officially adopted, but the Allan’s are referred to as his adoptive parents. 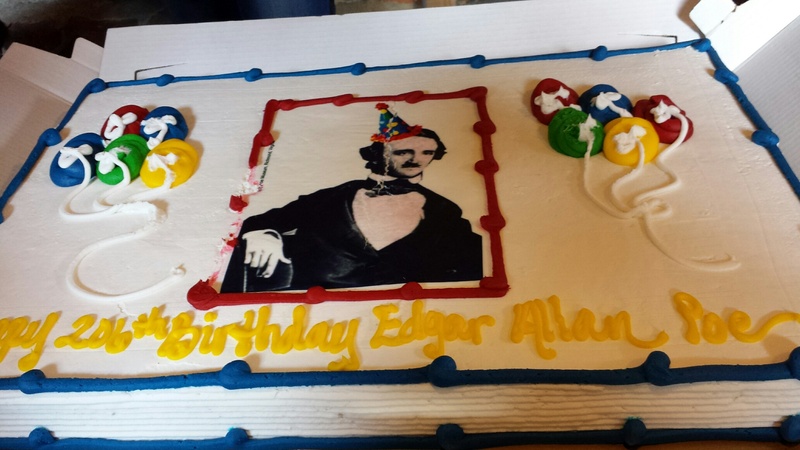 Edgar’s middle name Allan comes from their family. 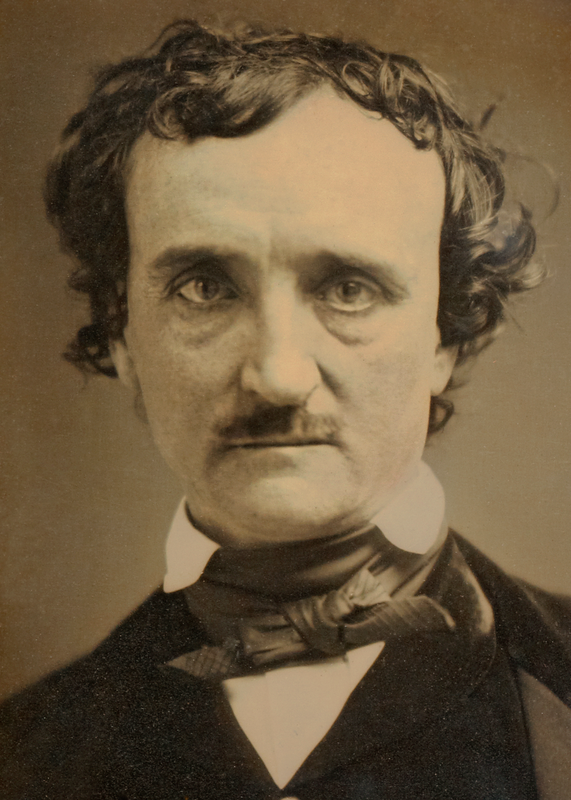 His adoptive mother, Francis Allen was a great love of Poe’s. She passed in 1929. His adoptive father doesn’t come across as a nice man. He didn’t appreciate Poe’s writings, his mannerisms, reminded him often that Edgar lived off his charity. There’s some evidence that Allan cheated on his wife, he had illegitimate children with another woman (even left them $ in his will). Poe didn’t seem to respect the man, and I believe that is part of the reason why. There are some allegations that Poe involved himself with married women and single women as well; however, when he married Virginia, and loved a woman, he seemed to be wholly involved and didn’t consider turning to another. 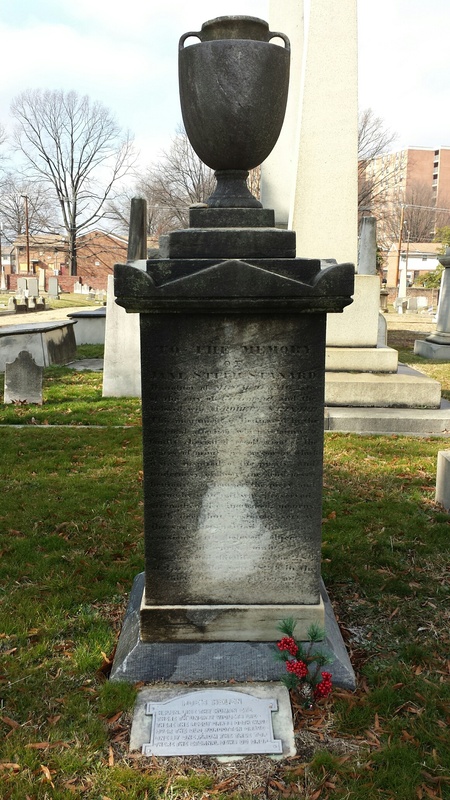 Mrs. Stanard’s headstone is closer to downtown. The cemetery is larger with long, winding, dirt roads, which supposedly are labeled A, B, C. Navigating it curiously, I found, by luck the intersection. I must admit that in some strange way, I didn’t care to see Mr. Allan’s grave; however, his family plots were close to his the Stanards. I walked the ten feet from Mrs. Jane Stith Craig Stanard grave to the Allan’s. It further made me dislike this ghost of a man whom I could never know. Crazy, I know. Allan married and had more children after Francis’ death. His marker is large, looming over Francis’ marker, his second wife’s marker is larger than his first wife’s. I’m not certain why that annoyed me so much, but it did. 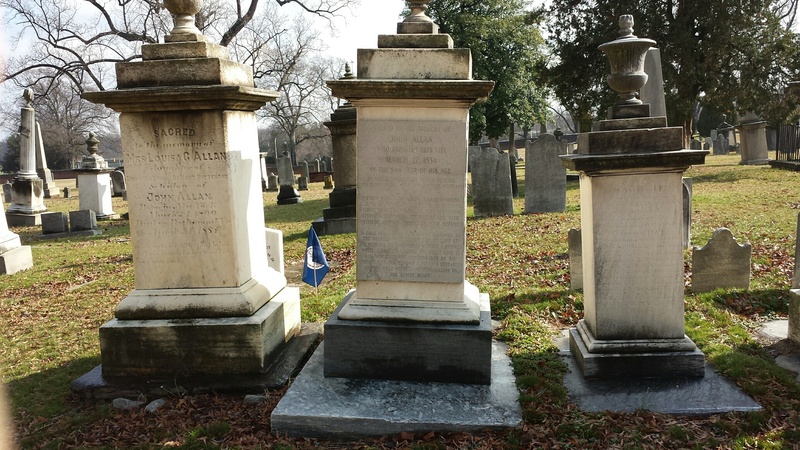 How could his first wife merit a headstone half the size of his second wife’s? Seems somehow – assholish. Sadly, I couldn’t find Elmira’s plot. The weather was getting the best of me. I’m a thin blooded creature, the eastern sun moved fast toward the west, the sky grew gray, and the sketchy neighborhood where the cemetery lies isn’t a place a woman should challenge her fears. I searched for at a more modern venue for refreshment. Not knowing the area, unable to locate a Starbucks via my gps, I parked in the city center and opted for a 7/11 coffee. A block to the north, much to my surprise, laid Capital Park. 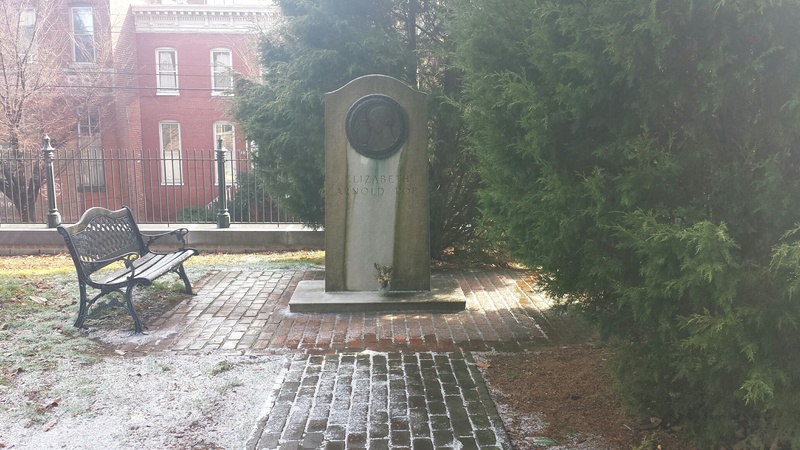 With another hour on my city meter, I walked up, coffee in hand, to see if I could locate the Edgar Allan Poe Statue. Although I was lead to believe the statue was difficult to find, hidden in some far off corner, I found it quite easily. It’s small, not indicative of his metaphorical presence in the city or in literature. However, designed in the 50’s, perhaps it’s the best that there was at the time. I’m searching for Poe. I’m searching for connection. To pick up the remains of the past, make certain it’s real. 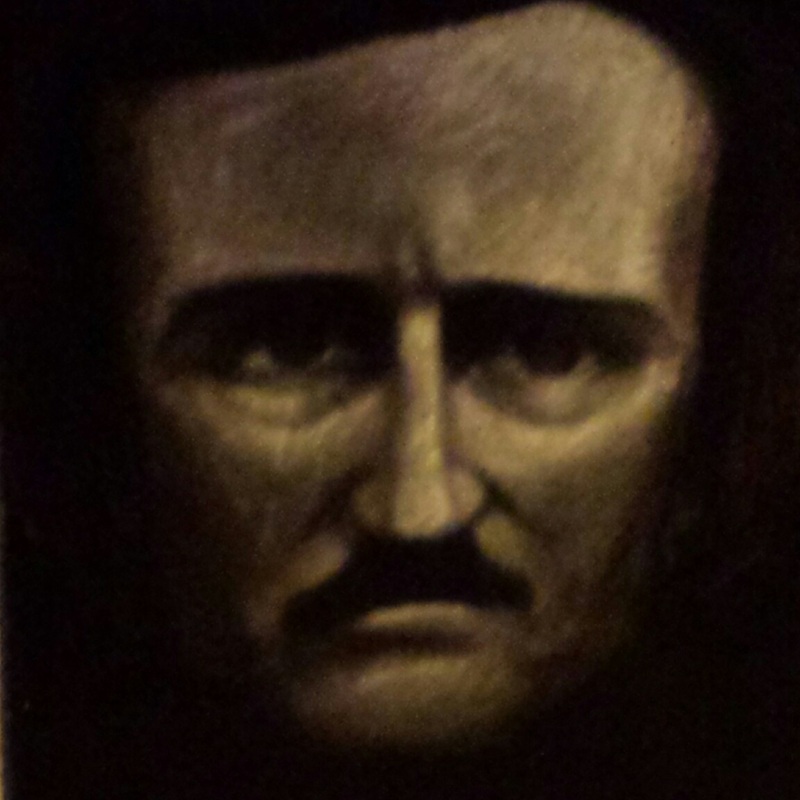 Fortunately, the Edgar Allen Poe Society has done much more than I. 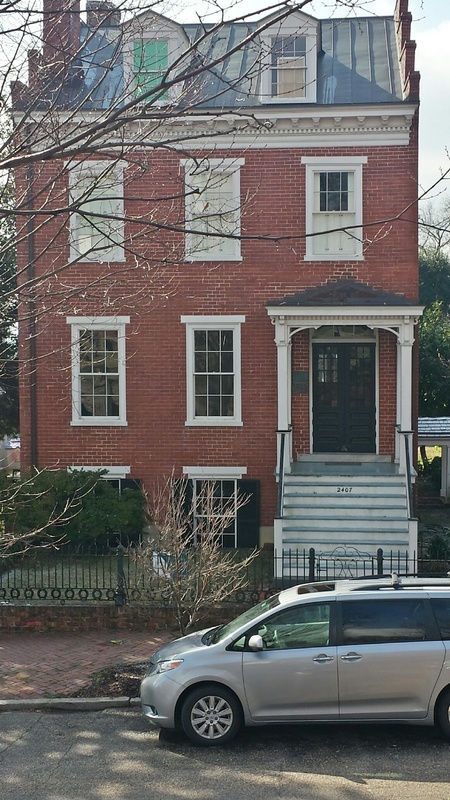 The house Poe grew up in is long gone to a history we can only read about: wars, fire, reconstruction. The Poe Society has marked the building. The building is currently condemned. Until some astute actors and patrons made for the door, then others realized that, indeed, this was not part of the play. By then, the theater was already engulfed. Both, actors and wealthy patrons, died together. They are sealed in the same crypt under the new church built over them. Monument Churchl. Poe’s adoptive family, the Allans, worshiped there. How might it have been for the young Poe to have his mother’s friends, his adoptive parents’ friends under his feet as he sang hymns? 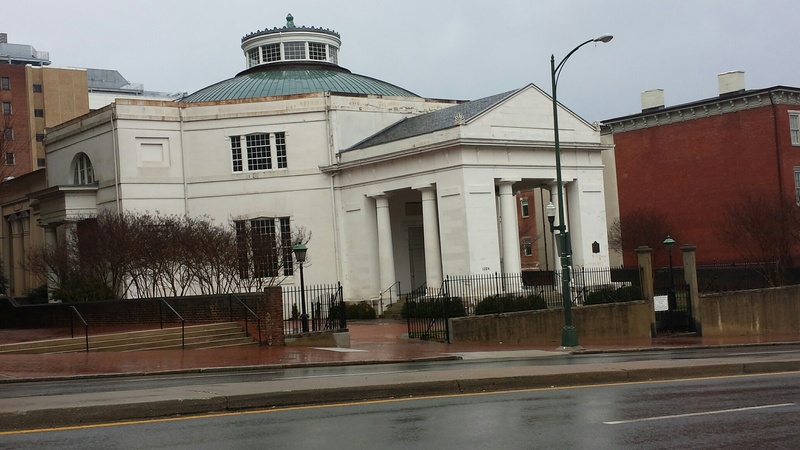 Next Stop – Poe Museum. They programmed a 206th Birthday Celebratioon – a day long event of readings, museum tours, music, walking tours (Poe – related spots), CAKE! and a champagne toast at midnight. 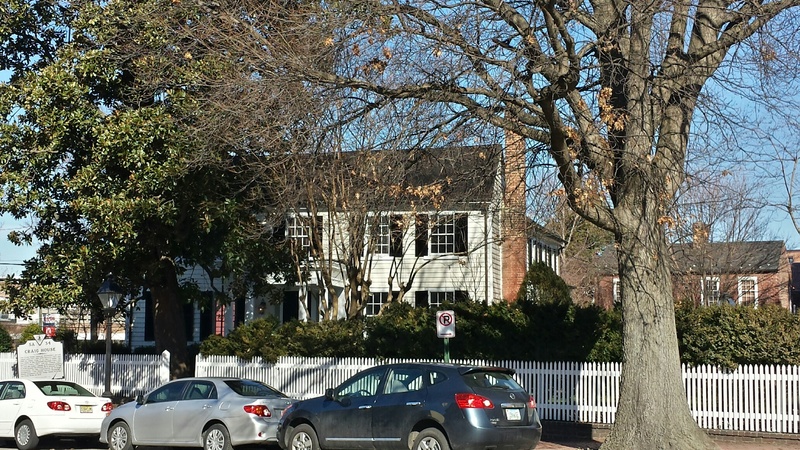 The small building on main street is easy to pass without notice, but it is the oldest residence in Virginia, built in the 1700’s. The residence became the Poe Museum in 1922 (I believe). The museum is made up of four small buildings and an enchanted garden. 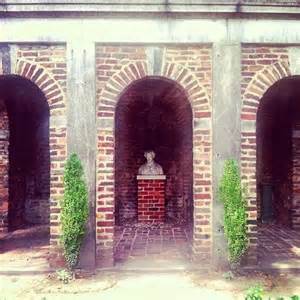 The pergola in the back of the garden which houses Poe’s bust was built from the bricks from the Southern Literary Messenger where Poe once worked. Friday, the museum was completely empty except for the curator, the director, and those who were setting up for the celebration. I had the museum to myself, completely alone with Poe. Music. Tours. Art. Poe Lovers. It was a lovely day, a soul enriching day, (even if it was too chilly for my California tolerance). There’s little in this post that you won’t find elsewhere – as far as information about Poe and his family. The pictures are mine. (please give credit if you copy them). Why does someone leave the warm sunshine of a winter in southern California to go to the too cold city of Richmond, Virginia in January? And why? It’s history. It’s literature. It’s a passion of mine to know more, see, touch, be in the presence of. I am filled up, revitalized. 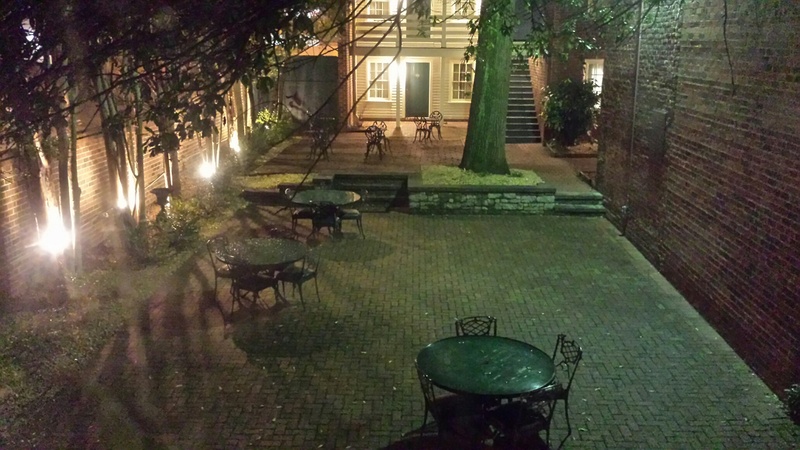 I learned more, enjoyed discovering my penchant for boutique hotels led me to the grounds of the garden where Poe once stood declaring his love for his first sweet heart. I stood where he once stood, walked a path he may have walked (yes, with thousands, possibly millions of others. but that’s okay with me). Sometimes, one must get out of their own head, get out of their comfort zone, do something new, something questionable, something that will add to their life experience. I’ve swam with sharks, now I’ve walked with the dead in a city rich with literary history, with American history. If you’ve read this far – THANKS!